20 Licenses for 20 Lucky Winners! Winners will be notified by eMail and must respond within five (5) days to claim their license. Congratulations, and Thank You to everyone who participated in this contest! Thanks to the generosity of AOMEI Software we have 20 licenses for the excellent AOMEI Backupper Professional Edition to give away to our subscribers… thank you AOMEI! At the time of this publication Aomei Backupper Pro will cost $49.95 (US), but DCT is giving away 20 licenses to 20 lucky winners! 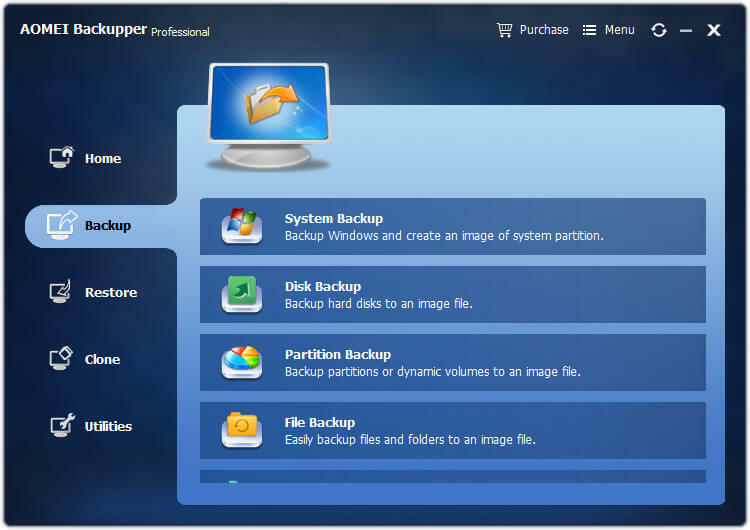 Professional Edition, complete software for Windows PCs and Laptops, which contains all features of AOMEI Backupper and supports system/disk/files/partition backup, restore and clone as well as provides schedule backup, merge images, dynamic volumes backup, UEFI boot and GPT disk backup. [NEW] Added real-time file sync: monitor files for changes and synchronize new added, modified or deleted files from source to target path as soon as the change has occurred. Backupper comes in many versions depending on your needs. They run the gamut from a free Standard Version all the way through to a Technician Plus version– five versions in all. You can see a Comparison Chart on this page. The Professional Edition is the one being offered today. Schedule Backup: set up a schedule to back up your system and all files automatically, supporting daily, weekly, and monthly. Event-triggered schedule backups: automatically perform backup tasks based on user logon & logoff and system startup & shutdown. Incremental & Differential Backups: on the basis of a full backup, save time and storage space by only backing up changed data. Backup Scheme: automatically delete old backup images based on specified value (the age or the number) to save backup disk space. Command Line Backup: create backups from command prompt or using a batch (.bat) file for unattended processing. 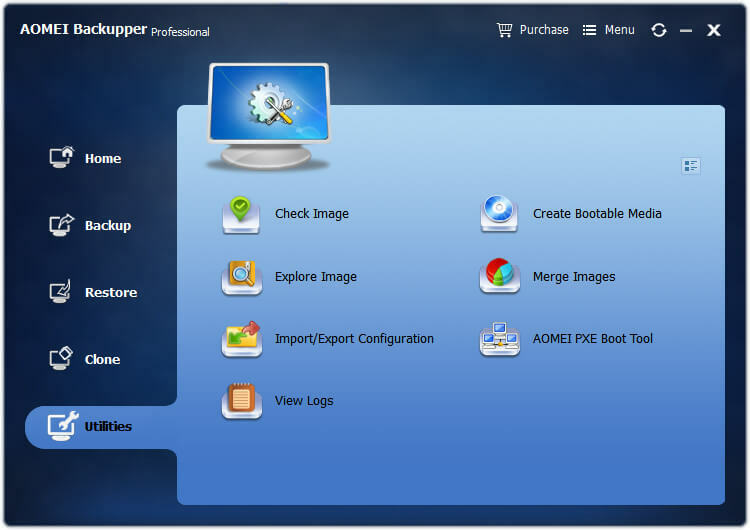 To learn more about all the available features, you can follow the above links or go to this Aomei Backupper Pro Page. Aomei also provides a comprehensive Help System right on their site which you can reach by following any of the above links. We’d appreciate it if you would take a moment and submit a comment telling us why you’d like to win Aomei Backupper Professional. However, submitting a comment is not required to enter this contest and will have no bearing on your chances. Prev:Is Donald Trump The King of Social Media? 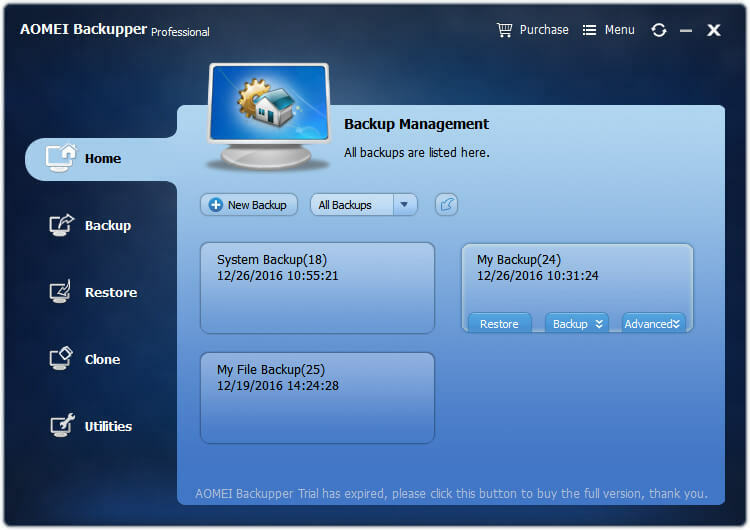 I want Aomei backupper pro because it offers many number of backup features and is top-notch in its category. Thanks to DCT and Aomei for this offer. I could sure use this superb software to backup my computer, “just in case”. My backup is in a mess. I’m very exposed, and have been trying to decide which package I should go with. This would be a dream solution. I’ve been backing up regularly with Unstoppable Copier, which is a little too basic. I’d love the scheduling aspect and cloning. But the best would be the ‘Real Time Sync to my external drive’ while at home. I keep trying B/Ups but none really do the job. This one looks like it does! I’d love to update from the free version. Thanks for the chance!